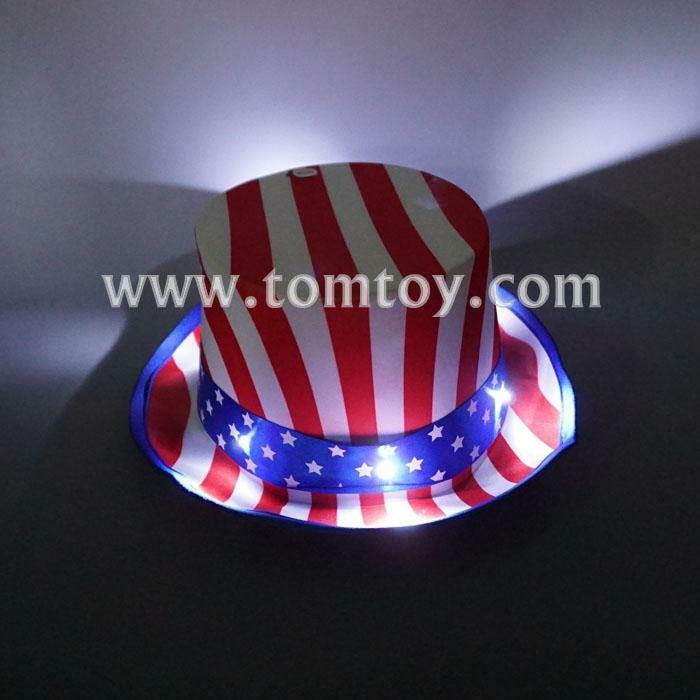 1.America Flag Hats suitable for any party or patriotic celebration. 2.This hat features 6pcs white LEDs. 3.Four Flash mode:flash- fast flash- slow flash- Off.